What’s the aim of a Tarot Reading? You can reflect on your life by the help of a tarot reading where it provides you with space and time. Just like a mirror, the cards are able to show you real things, the circumstance and how things will end up. Tarot is able to inform you of your views about life, whether there are achievements or obstacles that are likely to come your way. Tarots are able to show you the realities of life. What you are going right now might be an indication of changes that are coming your way. Tarots are able to show you situations of the past that you weren’t aware of and give you a reading of what the future holds. It tends to strengthen your confidence and advises you to be positive in life. The best tarot reading connects you to a bigger pattern and makes sure that everything is making sense. Each and every one of us is aware of what’s good for us at some point. That’s what I believe. We all instincts, they tell us what to do and watches over us. At times we can decide to pay attention to it or not to. Tarot shows true situations. The work of the tarot is to make sure every message that’s on the card is relayed well and clear like it’s supposed to be. Is the future already fulfilled? I have realized one important thing for the past 30 years I have been reading cards for people and even for myself. Most of the times, your thoughts and feelings influence the outcome of your readings. There are circumstances however that can never be influenced; it’s how you react to them that will tell how they benefit you. I know that we all have different paths we should take. The actions we take at the moment influences what we want to happen for us in the future. There are many reasons why individuals request to have a tarot reading. It might be due to curiosity or they just want to jiggle over funny things. The main reasons why people go for readings, however, are due to the fact that wants solutions to their daily problems. If you are on a road of developing yourself personally and your spirit too then a tarot reading can be really helpful. The tarot chooses questions to respond to. It doesn’t respond to open-ended questions such as “will I ever get married” since marriage is something of the future. The fact that you ask such a question makes you feel like you do not have control over your life and that to you life just happens which shouldn’t be the case. You are very active and the tarot teaches you how to be responsible. According to me, yes or no questions don’t relate well with tarot cards. Whatever we think about ourselves should matter more than what we think others feel about us. Tarot cards are not able to tell you what others think about you since their main focus are you, so if you want to know what others think about you then you better ask them. We all have had those moments when we feel like everything is not right. The tarot card can tell you exactly what’s happening during such times and help you address the problem. It helps you overcome overthinking. Can one get a Tarot Reading through Email? Definitely. It doesn’t matter how one wants to get the reading. Readings are beyond time and space. I used to conduct readings through emails before giving audio readings. Email readings are not worse than other readings such as face to face or telephone readings, they are just unique in their own way. They work through the concept of synchronicity. 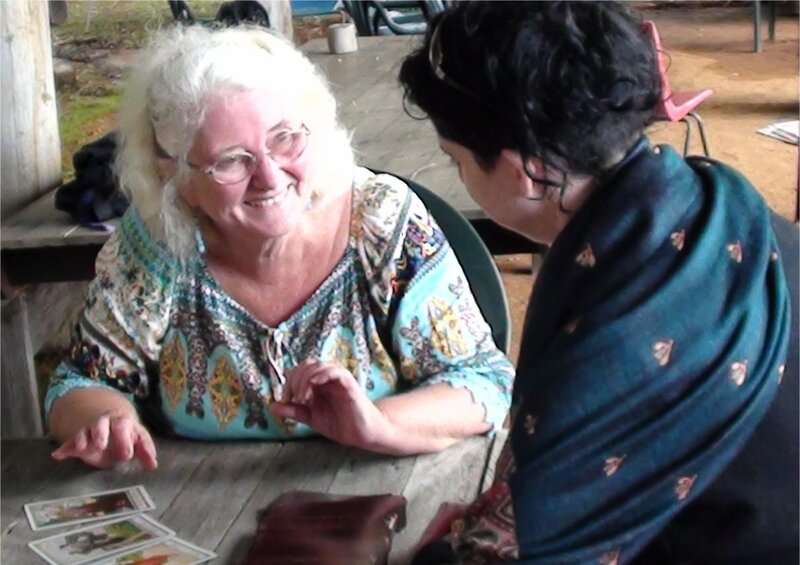 When you come to me or go to someone else for reading, the cards that come through the reading are very important to that client and I believe that it’s through synchronicity that happens. To me, in this world, everything is connected to each other. A reading asks the universe to converse with us through a language we are able to understand by opening its doorways. What if the cards are not telling the truth? Pay much attention. Does the reading make sense or it’s just telling what you want to hear? My cards don’t tell me what I want to hear, but what I need to hear. If you have a feeling the reading is not right you can tell your reader. We are all human and we make mistakes. At times connecting becomes difficult. The universe at times is reluctant to give you a reading because maybe you are aware of what the outcome will be or you have to make your own decisions. The best way to choose a Tarot reader is perhaps through word of mouth. If someone had a good experience with a tarot reader then you can follow their recommendations. There are both good and bad tarots on the internet. You can look up for them on magazines or publications after being given a recommendation. What do those publications say about them? Their educational background and their family. Study them before choosing the one you think is the best for you. Tarots should discriminate their clients. You should know your work as a tarot. You should lay the tarot cards clearly to your client. He or she should be satisfied with the reading. Always trust your instincts and let it guide you into that which is right.